Copyright (c) – Capitol Music, Inc. Published By – Capitol Music, Inc. Contains bonus second album with Earth Rot's instrumentals, never before released. Does anyone else think their copy's artwork is very dark, compared to the photos added on this release and the original artwork? the copy I picked up is a terrible pressing, not sure if they are all this way... Lots of surface noise, pops and crackling. Intermittent on sides A/B and present throughout sides C/D. Absolutely ruins the listening experience for this grail. Huge disappointment as the first two in this series sound great. 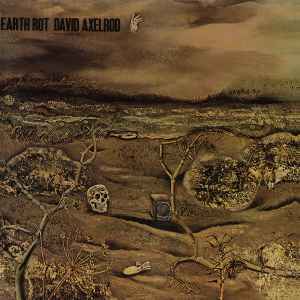 Having really liked Axelrod’s arrangements from his instrumental records Songs of Experience, Songs of Innocence and Seriously Deep, I checked out Earth Rot a few years back and was turned off by the choral vocals. I didn’t get it and I didn’t bother to find out what they were talking about, I had just been hoping for more of his instrumental arrangement work. And finding the Earth Rot lp on vinyl was a pricy proposition as well. When I saw the title in the Record Store Day list I looked into it again, This time read the lyrics. It’s written from the perspective of the Earth spirit, basically saying, fine, if you humans want to trash the place, not pay attention to the consequences and end up serving your own demise, that’s not a problem because the earth will heal itself and be better off without you anyway. What is really cool about this particular reissue is that it’s a 2 lp set, with the additional record being instrumental versions of the original. And these aren't just the original tracks minus the vocals, they are different takes with instrumental solos in place of the choral story tellers. If you are into Axelrod, it's a nice score. I have no original to compare this to, but this pressing sounds amazing just like the last two reissues on Now-Again. They've done us a great service by remastering and re-releasing these masterpieces!